The word "globalization" has been getting a lot of bad press lately for reasons that we're just too damn tired to think about. But even in this increasingly divided world, most of us can agree that globalization is a wonderful thing when it comes to the vast array of delicious food available (and, you know, most other things). We live in a world where the term "chain restaurant" doesn't necessarily mean a quick burger or cocktails paired with endless mozz sticks. It can mean delicious fried chicken, some of the best ramen in the US, or an array of grilled South American meats thanks to an influx of foreign chains planting flags in the US. These nine chains are making strong plays to become American mainstays. Consider them cultural ambassadors of fast-casual diplomacy. 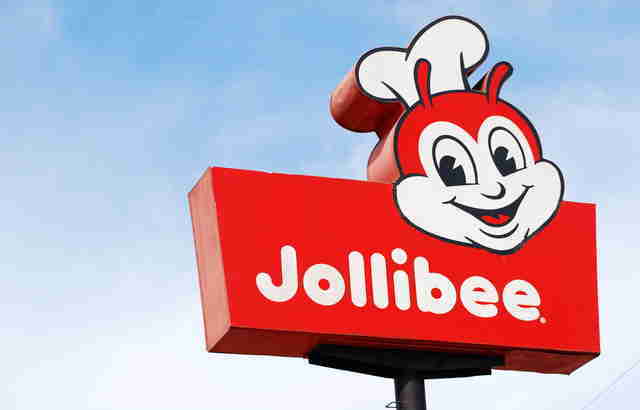 What it is: Jollibee operates nearly 800 locations globally, but it's been garnering a lot of attention in the US of late, and not just because of its incredible dancing insect mascot. 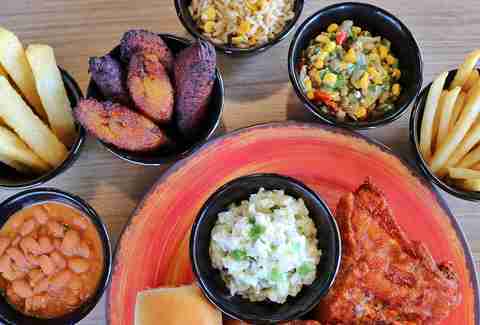 This is a place that runs the fast-food gamut, with offerings ranging from buckets of crispy fried chicken and griddle burgers to spaghetti plates, shrimp-laden Fiesta noodles, and sweet pork breakfast platters. Why it might blow up: Jollibee's already developed a cult following at its 30+ American locations, and our country's hunger for Asian fusion, combined with a love of wacky marketing, means that Jollibee's signature style of hybridized fast food is catching on in a big way. 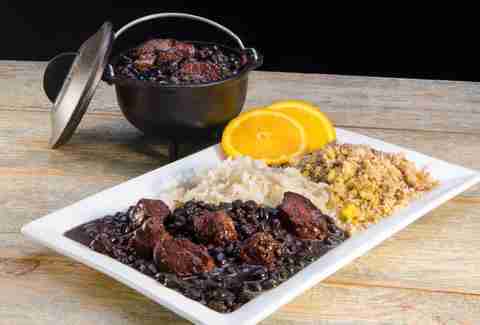 What it is: Giraffas would like to check your fast-casual grills and see them enormous platters of traditional staples like feijoada and pão de queijo. And while Brazilian food isn't yet the powerhouse it could be in the US, a quick-and-easy version of the cuisine could help turn on the masses. It worked in Brazil, where Giraffas has more than 350 locations. Why it might blow up: Brazilian cuisine is heavy on grilled proteins, which fits well with American tastes, as proven by the success of steakhouse chain Fogo de Chão, which has thankfully been serving up meats by the gigantic spike-ful at higher-end locations throughout the country. Giraffas has an edge on Fogo, thanks to the fast-casual price point, and although it's only just beginning to take off in the US, expect to see the company expand westward soon. And expect your waistline to also expand. 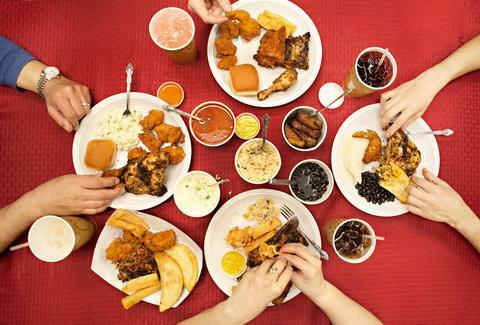 What it is: Founded in 1971, PC is the world's largest Latin American chicken chain, grilling and frying up powerfully spiced, hormone-free fowl, alongside traditional sides like plantains and yucca, in over 10 countries, including this one, where fried chicken has a permanent place on the table. 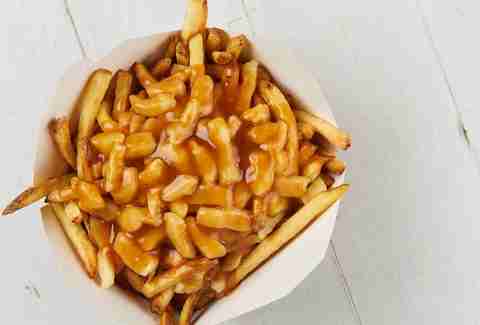 What it is: Aside from maple leaves, back bacon, and Mounties, there's nothing more Canadian than a plate of fries smothered in gravy and cheese curds. Smoke's has perfected the dish using hand-cut fries and Quebec cheese, offered in an extended menu of over 30 variations, among them a variation loaded with pierogis, one with butter chicken, and a line of cheesesteak-inspired steak bombs. Why it might blow up: Americans seem to have a strange fascination with poutine, and the curiosity is popping up on pub menus around the country, so it follows that there's room for a chain. What it is: Moaz's concept is deceptively simple. 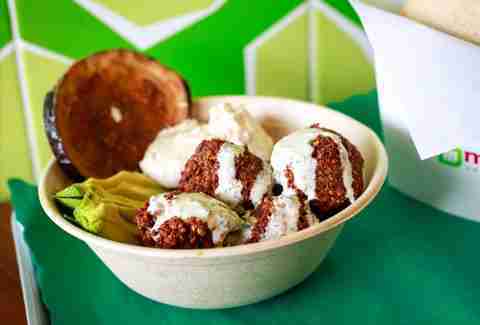 The vegetarian chain does falafel three ways: in a bowl, in a salad, or jammed into a signature pita. Then it goes full Chipotle on customization with add-ons including avocado, feta, hummus, babaganoush, and egg to keep the flavors evolving. The name literally translates to "strength" or "courage," both of which are necessary to take a vegetarian falafel-slinging chain international. Why it might blow up: Falafel has a foothold in the hearts and stomachs of Americans, but there hasn't yet been a national empire to capitalize on the demand. 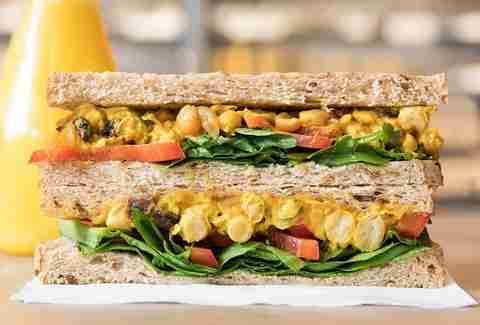 Furthermore, vegetarianism is growing, and herbivores need fast-casual options too. So far eight American cities agree; many more will soon. 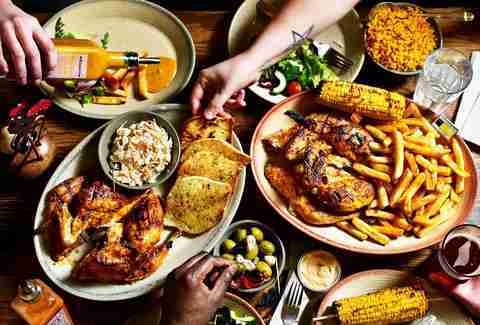 What it is: Nando's is about as international as it gets: It's Portuguese-style grilled chicken covered in a spicy, extremely flavorful African chili called PERi-PERi, also known as African Bird's Eye Chili. You can get that chicken in pieces or as a full bird, in sandwich form, or in skewer or bowl form. Just don't skip on the sides, which include the essential flame-grilled corn on the cob. Why it could blow up: Nando's already has a foothold in 30 countries (it's HUGE in London), and is leaving a trail of its signature sauce across the eastern US thanks to a rapid stateside expansion. It makes sense, too: In a country obsessed with spicy chicken wings, why wouldn't you want to sit down and house a full bird covered in sauce that puts most chains to shame? 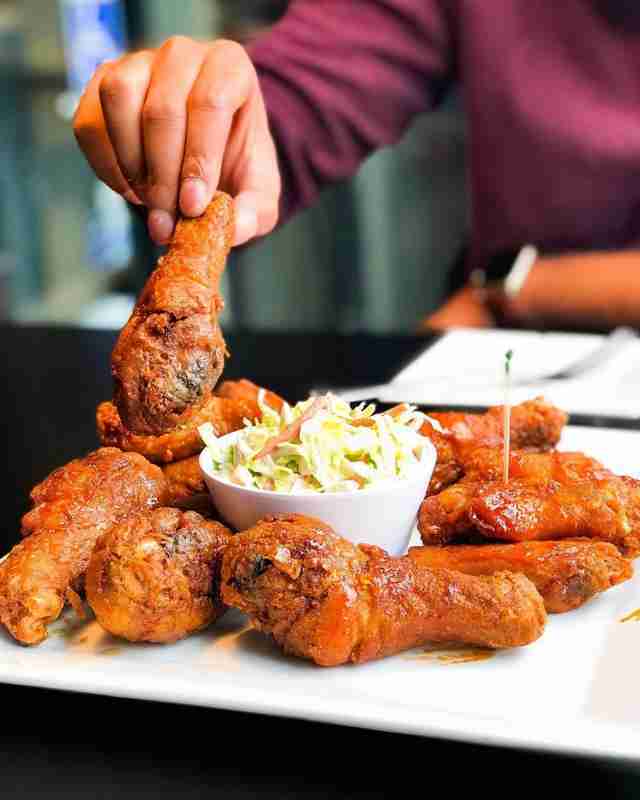 What it is: Bonchon is proof positive that the Colonel isn't the only KFC game in town. Taking advantage of the explosive popularity of Korean fired chicken, Bonchon has straight-up exploded since opening in the US in 2002, slinging its impossibly tender, ultra-crispy twice-fried wings, drumsticks, and strips to huge acclaim among the hordes who would happily drink its soy garlic and spicy sauces by the glass. Why it could blow up: The question here isn't so much why it could blow up so much as how big can it go, and Bonchon's site lists an additional dozen or so restaurants as "coming soon." But the place doesn't just check the fried-chicken box: There's also an array of dumplings, buns, Korean tacos, japchae, and bibimbap to help feed a nationwide population obsessed with Korean food. What it is: Meeting somewhere at the confluence of a Parisian cafe, a London fashion district coffee shop, Starbucks, and Great Harvest, Pret specializes in bistro-style sandwiches, salads, pastries, soups, and coffee, all with an eye toward healthier choices and fresh ingredients. And while ultra-English offerings like coronation chicken didn't cross the pond, they've made their name with such offerings as a cucumber-topped tuna salad, balsamic chicken & avocado, and a take on the Thanksgiving sandwich that won't leave you in a coma. Why it could blow up: Pret's been on a (probably wheat) roll, taking advantage for increasing demand for smarter eating options in an American sandwich landscape populated by cold cuts, cheese sauce, and ice burg lettuce. It's a place that manages to feel upscale while catering to the grab-and-go crowd. Oh, and it's been doing avocado toast since before it became cool, then not cool, then the norm. What it is: Ramen and gyoza. But, like, really, really good ramen and gyoza, with shio, miso, shoyu, and spicy miso broths serving as a perfect vessel to tender pork and impossibly slurpable noodles. Those simple-yet-complex flavors make it a contender for a slot on the list of best ramen in any city where HRS sets up shop. 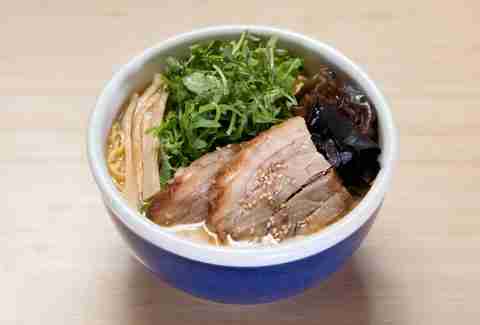 Why it could blow up: Ramen continues to be an obsession in the US, and while some Japanese chains -- Afuri and Ippudo, notably -- have dipped their toes in the water, only Hokkaido Ramen Santouka has cannonballed into multiple markets. Literal markets, actually: The place began popping up as stalls in Japanese marketplaces around the West Coast before setting up its first sit-down spot in Bellevue, Washington, a few years back. It's been expanding since, and hopefully its success will show other chains that American's hunger for ramen means big business. Dan Gentile is a freelance writer based in Austin, Texas. His work has appeared on Thrillist, VICE, Roads & Kingdoms, and the Food Network. Follow him to brisket for breakfast and lunch, but never dinner, at @Dannosphere. Thrillist senior editor Andy Kryza wishes somebody would open a combination Bonchon/Poutinerie and write a catchy rap song about it. Follow him @apkryza.